The internationally-acclaimed Tsahouridis Brothers – who have brought the traditional sounds of the Pontic Lyra to the world stage - will take audiences on a unique musical journey when they tour Australia this month. 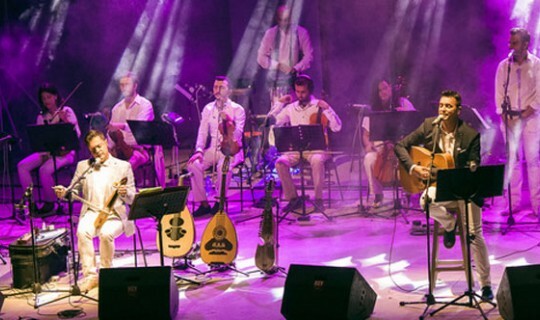 Accompanied by a six-piece orchestra, Mathaios and Konstantinos will perform four spectacular shows in Perth, Melbourne, Sydney and Adelaide. Matthaios Tsahouridis, undoubtedly the world's finest exponent of the Pontic lyra, and his younger brother Konstantinos, renowned for his unique and versatile tenor voice, have enthralled audiences in Greece, Europe, Toronto and most recently LA with their mesmerising sounds and performances. Proceeds from the Australian tour will be donated to The Hellenic Initiative Australia, for distribution to charities providing crisis relief to those in need in Greece.